Mayor Daniel Rivera Lawrence, Massachusetts, says he's disappointed that New Hampshire Gov. Chris Sununu accused his city of fueling New Hampshire's drug crisis. A Massachusetts mayor says he's disappointed that New Hampshire Gov. Chris Sununu has accused his city of fueling New Hampshire's drug crisis. The new Republican governor labeled the city of Lawrence on Wednesday as the prime source of the deadly drug fentanyl that's coming into New Hampshire, and he warned he's about to "get tough" on dealers across the state border. Lawrence Mayor Dan Rivera, a Democrat, is hitting back, accusing Sununu of "threatening the sovereignty" of Massachusetts and failing to build enough treatment beds in New Hampshire. "The opioid crisis is so large that no community is without a problem and to make it about Lawrence is the trap," Rivera told reporters Thursday. 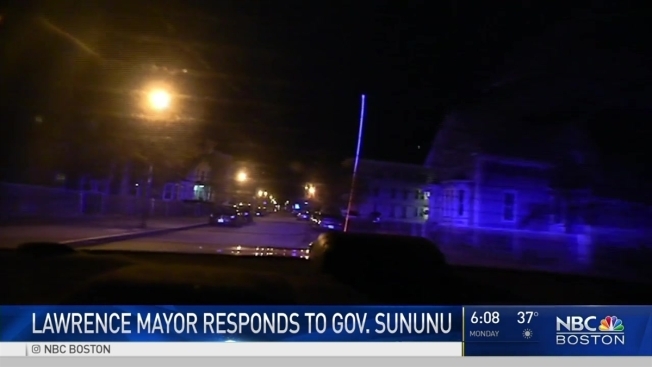 Later Thursday, after a phone conversation with Rivera, Sununu said the city has been "doing a good job" on the issue. He said he's invited Rivera to help him develop a plan to tackle the issue in both communities. Rivera hasn't yet commented on the call. Sununu isn't the first New England governor to accuse Lawrence, a city of many immigrants, of fueling the region's drug crisis. Maine Gov. Paul LePage last year said black and Hispanic drug dealers from Lawrence and Lowell are trafficking drugs into his state. New England is in the throes of a heroin and opioid abuse crisis, with roughly 500 people dying in New Hampshire last year from drug overdoses. New Hampshire Attorney General Joe Foster, a Democrat, said most of the fentanyl and heroin coming into the state is indeed from Lawrence. Rivera didn't dispute the city has a drug problem and said 23 new police officers will be added over the next three years. But he suggested New Hampshire could be doing more to help struggling addicts and said Sununu lacks the facts to back up his claims. In a Wednesday radio interview, Sununu also targeted a policy that makes Lawrence similar to a sanctuary city. The city's policy, passed in 2015, says local law enforcement shouldn't ask about someone's immigration status if they haven't committed a major crime. Sununu said judges are letting drug-dealing immigrants out on bail who are in the country illegally, allowing them to change their names and keep dealing. His office has not provided a source for those claims. "The net negatives of the sanctuary city nonsense are just so detrimental on a community," he said. Since passing what it calls the "trust act," Rivera said, the city has reported five immigrants in the country illegally who committed crimes. "I don't think he understands what he's talking about," Rivera said. "It's not like we're harboring criminals."